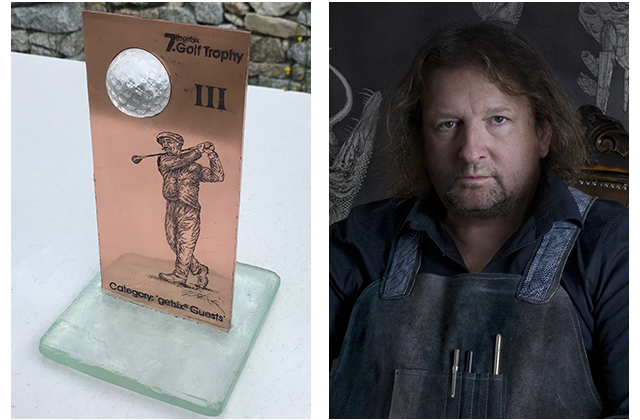 This year at the 7th getsix® Golf Trophy we have taken a unique direction with our trophies, as we have commissioned Professor Przemysław Tyszkiewicz from the State Higher School of Fine Arts in Wrocław. 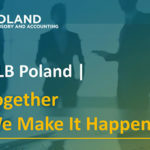 Let us give a brief summary of Professor Tyszkiewicz. He was born in 1964 in Wrocław and from 1992 worked at the Wrocław University of Art, he was faculty of Graphic Arts. In the year 2003 he became a Professor, and just now he leads the Studio of Graphic Arts, he specialises in copperplate, etching and aquatint. His works can be found in museums and private collections within Poland and abroad. As you can see from the photo, these trophies will highlight his unique and specialised work. We look forward to see you attending our golf event.